In addition to viewing your staff's appointments on the calendar, you may be interested in seeing the availability of a specific resource, such as a massage room, a machine, or a pedicure chair. 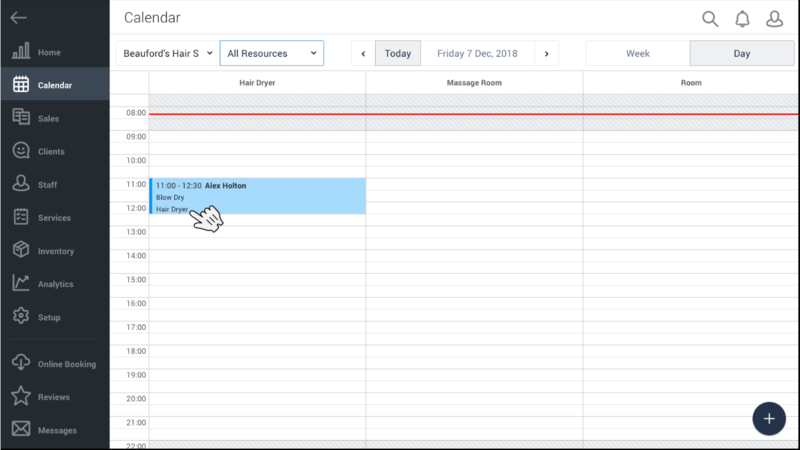 You can view the availability of a certain resource easily from Shedul's calendar. Once you've created resources and allocated them to your services, you'll be able to see resource availability on the calendar. This view enables you to see whether a particular resource is free or not, and helps prevent you or your staff members from double-booking a resource. Note: Clients booking online can never double book a resource. Navigate to the top left-hand corner and select the drop-down menu. Choose between a specific resource or All Resources. Note the appointment itself will show the specific resource in use. 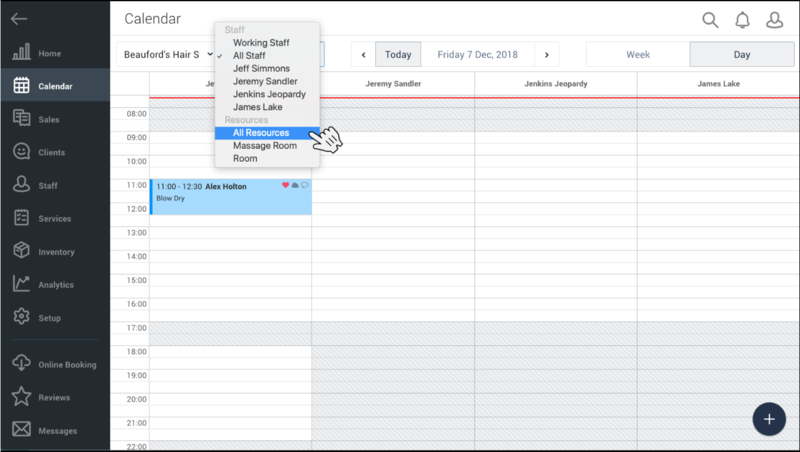 Similar to the staff members view, when viewing the calendar for an individual resource, you can view it by Day or Week view for that resource. If you view the calendar for All Resources, you will only be able to see the Day view. Tip: If you haven't applied resources yet, check out our Add Resources & Rooms article. Check out our walk-through videos and tutorials. Share and vote on ideas for new features!